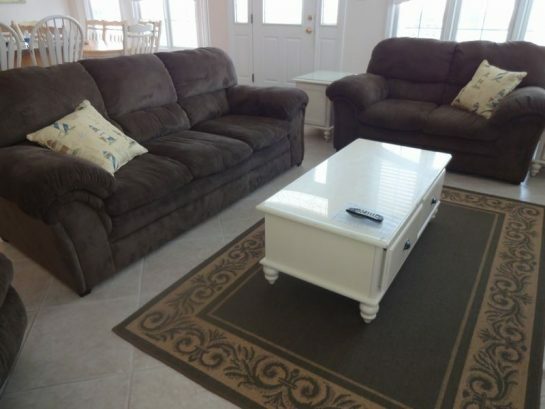 This is the PERFECT OCEAN CITY NJ VACATION RENTAL! PLEASE NOTE: NJ recently passed a new law that any rental business that is classified as a Short-Term Transient Accommodation must collect and file 6.625% NJ Sales Tax as well as 5% NJ Occupancy Tax for a total of 11.625% of the rental rate. 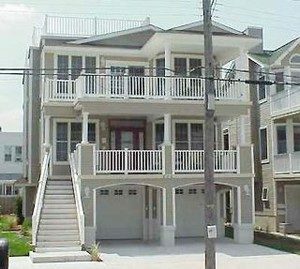 Beachblock Beauty at 826 A Sixth St 1st floor in Ocean City, NJ. 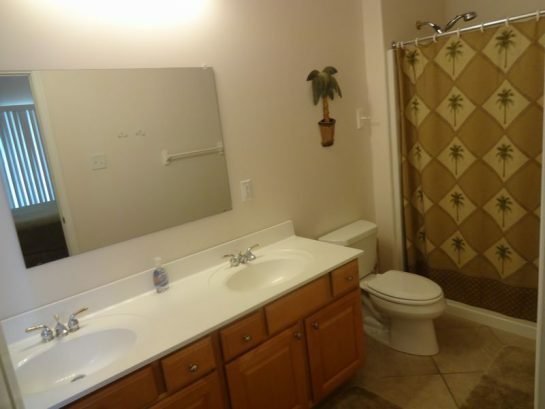 Spacious 4 BR, 2.5 BA, 1st floor condo sleeps 9 with garage and parking for 3 cars. Additional shower in lower level. Park your cars and walk to everything. 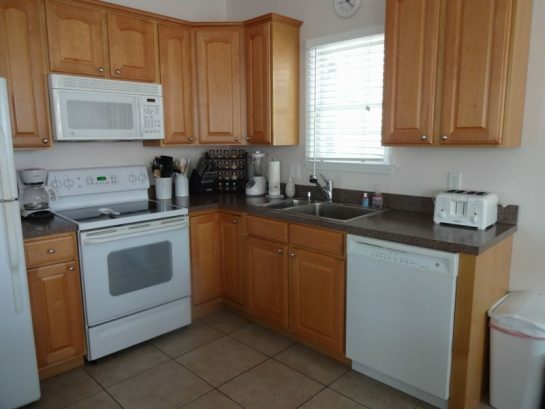 Very well equipped with every convenience, including well-stocked kitchen. 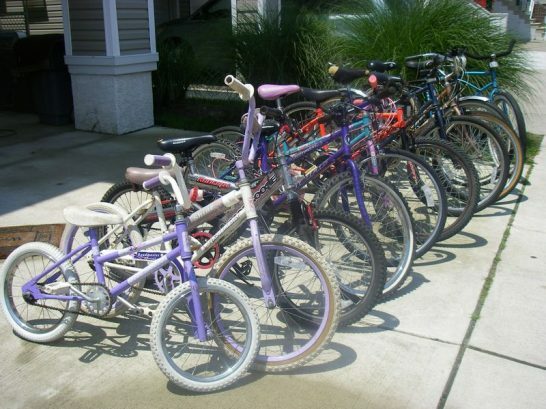 Not your average rental with a Gas Barbecue Grill, 6 beach chairs and BIKES! State of the art SOUNDPROOFing between 1st and 2nd floor units. Easy access via front porch steps or elevator. 6 beach tags are included. Children 11 and under do not need beach tags. 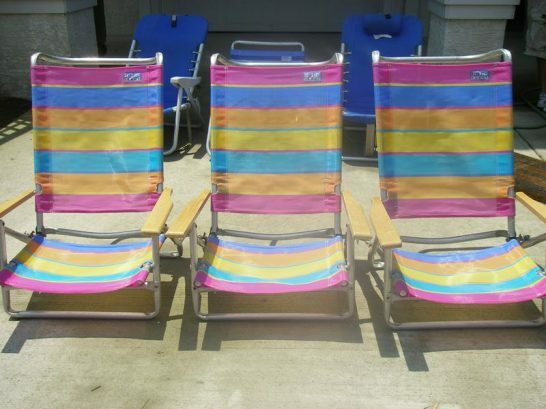 Beach tags are required mid-June through Labor Day. 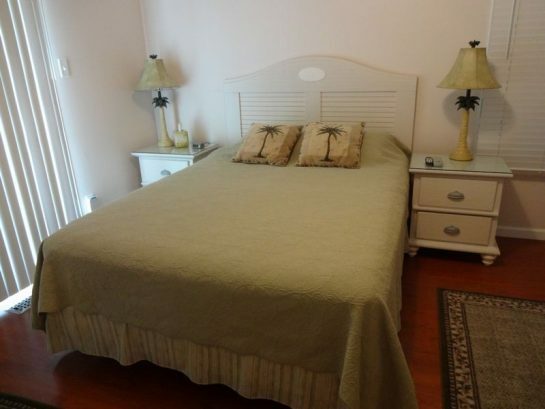 Located on the beach block, this unit is in a perfect location, just a half block to the beach and boardwalk amusements, beach volleyball courts, new basketball and tennis courts, and fishing jetty. 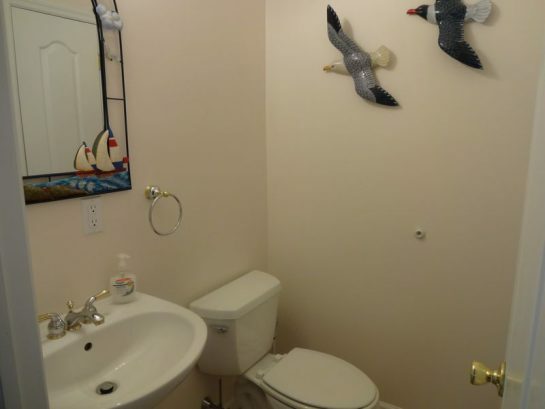 The unit is spotless and tastefully decorated. Living room w/ gas fireplace, TV, DVD, VCR, and surround sound. There are intercoms in every room and on the porches which play CDs and AM FM music. Loading and unloading is easy with an elevator. Large front porch and 2 private porches off bedrooms. Extremely well equipped kitchen with every convenience. Nice pots and pans, dishes, Pyrex cookware, non-stick cookware, baking pans, large crock pot, large pot for corn on the cob, steamer insert, utensils, pot holders, cutting boards, knife set, 12 wine glasses, microwave, blender, toaster, disposal, coffee pot and coffee grinder. 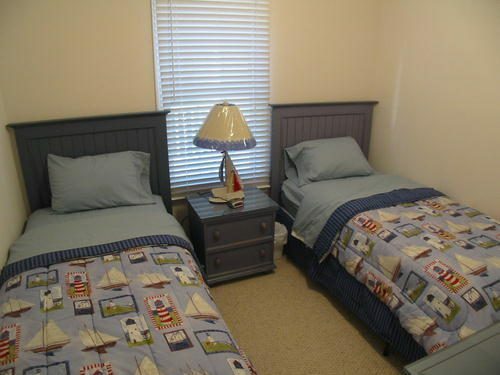 Linens are not provided, so you will need to bring sheets, towels, and kitchen towels. Pillows, blankets, and bed comforters are provided. 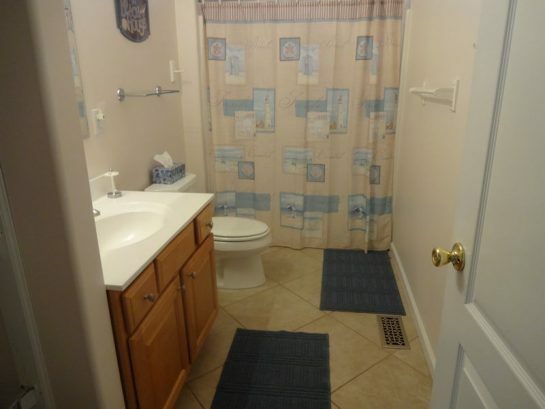 In addition to the master bath, there is a hall bath and powder room on the main level, plus a full size shower in the lower level (indoors). This rental is absolutely beautiful. 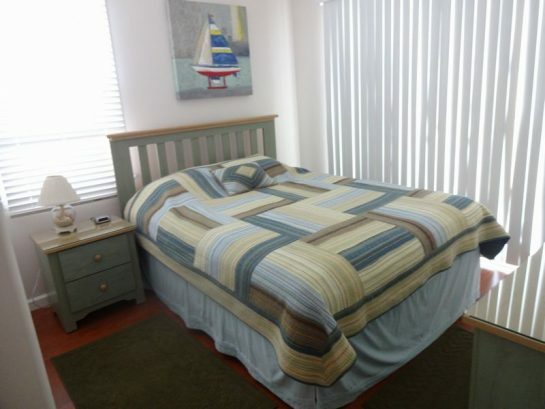 Well equipped with bikes, chairs, beach chairs and close to the beach and boardwalk. The kitchen is so well equipped with all we need for the week. 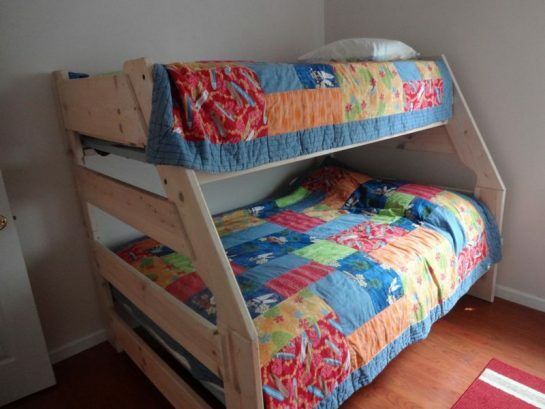 It's very clean and all beds are very comfortable. Thank you Cathy. Looking forward to spending many vacations at this house with our family. The location was amazing! 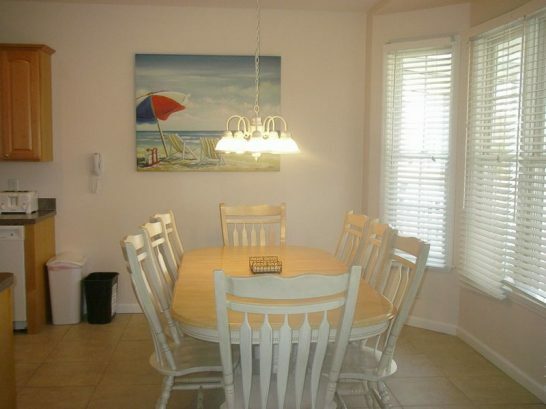 So convenient to get to the beach and close enough to walk back for lunch, snacks or naps! House was clean and comfortable! Thank you Jessica!! So glad you enjoyed your stay!! Looking forward to having you return again next year! We've been coming back every year for the last 12 years to stay at this house. Everything is well-maintained, clean, and up to date. The location is fantastic and the owners are great to work with. Would highly recommend! 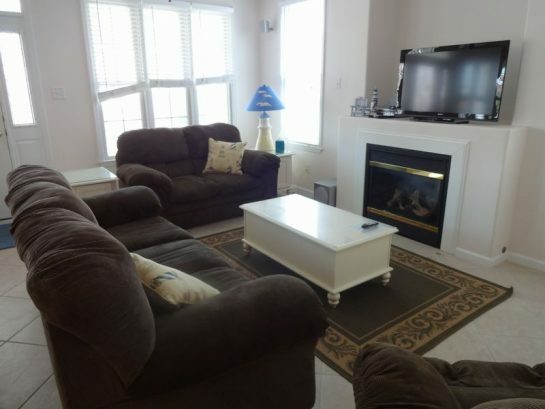 Notes: This is the PERFECT OCEAN CITY NJ VACATION RENTAL! PLEASE NOTE: NJ recently passed a new law that any rental business that is classified as a Short-Term Transient Accommodation must collect and file 6.625% NJ Sales Tax as well as 5% NJ Occupancy Tax for a total of 11.625% of the rental rate. This tax will be added on to the listed rates. Partial weeks are available in the off season - Fall and Spring. There have been 27715 visitors to this page since the listing was published on the site.